Quarter-life Review: If we deny the existence of our pain, we deny the opportunity to heal. We often hide or deny our emotional experiences because we don’t even want to face them ourselves. But when we deny the existence of our pain, we deny the opportunity for healing. We get caught up in thinking that we are the sum of all of our experiences, that temporary social roles are permanent labels. But I don’t believe that to be true. After 5 long years of struggling to “find myself’, I can now look back on my life with a little more clarity and see that it’s been a constant metamorphosis. I can see the trail left behind of all of the different identities I’ve tried on over the years, desperately searching for one that fit. I’m starting to understand my deep inner desire to define myself. I somehow unraveled the false-beliefs from my past driving me to seek validation, approval and justification for who I want to be. Who I know — deep down — I really am. I’m starting to get what the “gurus” and life coaches mean when they say that true happiness and fulfillment comes when we listen to what’s already inside of us. It’s been a wild ride. I’ve experienced the highest highs and the lowest lows, but I wouldn’t change it for the world. I’m proud to have made it to the other side because, after going to hell and back, I finally have the strength and courage to live from the inside out. This journey has shown a depth of compassion I’ve never known before. It’s taught me that we all have deep, inner wounds. And those wounds are the keys to unlocking the life filled with the love, happiness and fulfillment we’re looking for. It’s shown me what really matters. I feel like as a society we’ve lost sight of the fact that it’s the essence of life — the intentions behind our actions — that matter. When those intentions are aligned with our personal truths, we come out of an experience, good or bad, changed for the better. We grow through our experiences. But we aren’t our experiences. You won’t be who you are, right now, forever. You will take on other roles and have life-altering experiences that will change your relationship with life and who you are in it. Your identity isn’t static. Your complexity as an individual grows with every circumstance — every relationship — you encounter. The continuous cycle of change applies to ourselves, too. And when we fight those changes, we get stuck. When we limit ourselves to the outdated roles people expect us to play, we hold back the person we really are, and eventually become victims of our own shadows. The definition of who you are is constantly expanding and evolving. You may be an alcoholic right now — but you don’t have to be one for the rest of your life. Instead you need to look at why you’re an alcoholic right now, why are you numbing out your life with alcohol. We don’t really stop and look at why we are the way are. We don’t think it’s necessary, especially if we don’t like the emotions that come with taking an honest look at ourselves — at who we’ve become. We don’t like putting those parts of us on display for people, especially ourselves, to judge. We’ve put people’s self-worth in their behaviors for so long we’ve forgotten that how we label them has an effect on their healing. There’s a difference between suffering from addiction and being an addict. The world today condemns people for their psychic pain, instead of offering compassion and support to heal it. We’re in desperate need of change in how we approach these issues. We need to engage in social healing, creating sacred spaces that allow people to openly acknowledge and wrestle with their emotional scars without fear of judgment and shame. Families, communities and countries have become disconnected because we’re conditioned to fear each others pain. We’re taught to turn our backs on one another in order to protect ourselves from being associated with our sins. The walls of separation built around our hearts keep the very people who need love and connection the most, out. Leaving them in isolation with no emotional connection or support. We label those who are in psychic pain as ‘emotionally unstable’ or diagnose them with a “mental illness” and put them in isolation. They’re left alone with their vices, with no community for support, to struggle underneath the weight of unrealistic expectations to get better. Then publicly shamed when they don’t. The problem is that there’s no room for hope in shame. It’s a continuous, self-defeating cycle. If we don’t have hope, we don’t have the courage to take responsibility for ourselves and change. People are starting to check-out of life and numb themselves in hopes of diluting their experiences of reality. But not because there’s some flaw in human nature — because we’ve created a culture that disapproves of expressing negative emotion and refuses to acknowledge the fact that all of the noise we’ve created is just too much for people to handle. Life is moving so fast that we don’t have the time to stop and process our emotions and experiences. 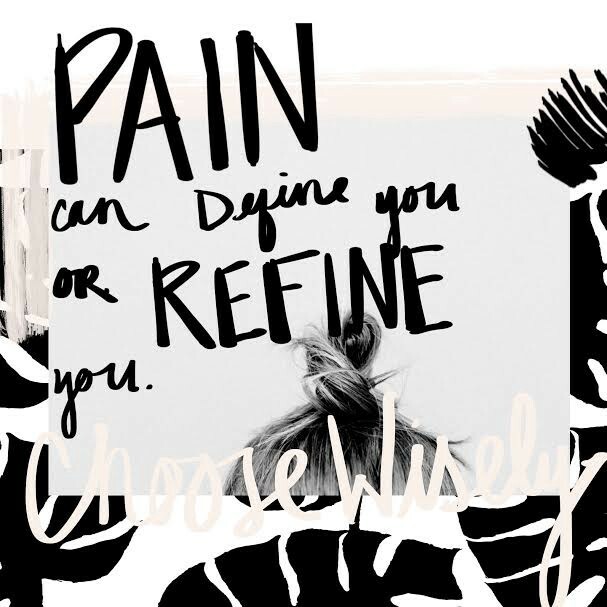 Pain is temporary, but without allowing ourselves the proper time to process and grieve, it has no where to go. Psychic pain is real. It’s a normal, necessary part of living — but it’s not permanent. It’s fluid and temporary — as long as we acknowledge that it’s there. So many of us don’t feel our loneliness until it’s chronic depression because we’re too numb to know it’s there. Trapped alone in our minds, our suffering consumes us. We have a moral duty as human beings to help each other through emotional suffering. It’s our nature to come together through our experiences and alleviate each others pain. But in order to do this, we have to open up. We must share our stories of overcoming. We must own our personal experience of this world. We offer each other RELIEF through our pain. In knowing that someone else has been where we are and made it to the other side. The most profound lessons my quarter-life identity crisis has taught me is about the gifts of suffering. Suffering shows us our shared humanity. We all suffer from the emotional weight of our past, the only difference is in how it all manifests in the present. Suffering strips away the illusions we create for ourselves and each other. It keeps us grounded in heart-based wisdom and universal truths. Suffering completes the human experience.